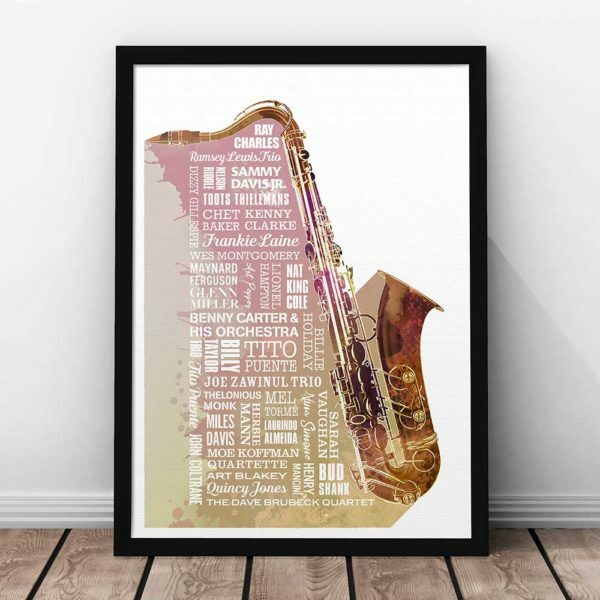 Our Heroes of Jazz Print is a typographic tribute to the world’s greatest Jazz musicians displaying their names and a watercolour style saxophone. 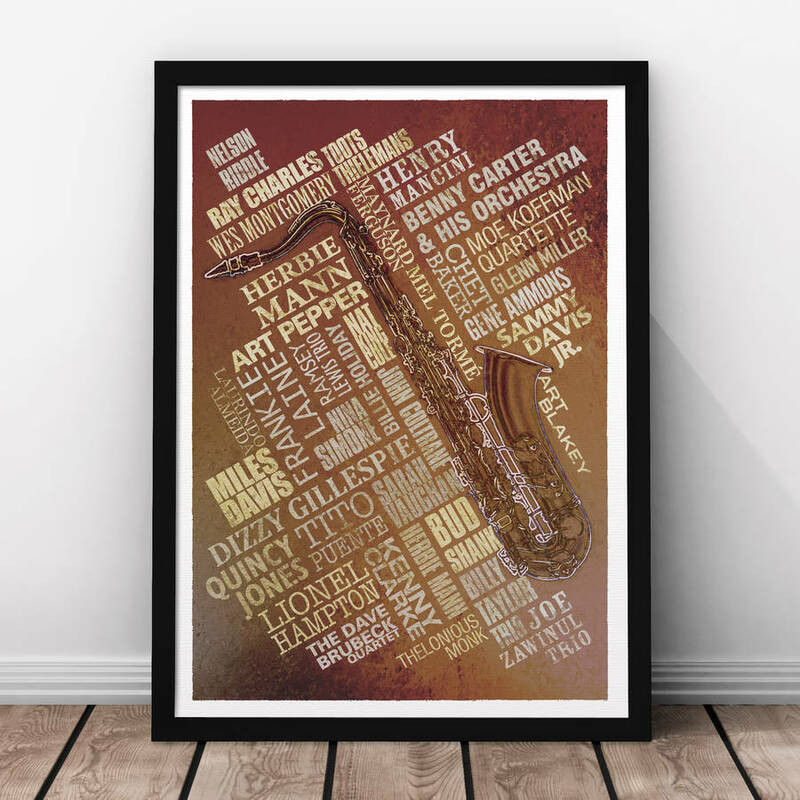 A unique typographic jazz print featuring the names of such legends as Dizzy Gillespie, Lionel Hampton, Tito Puente and Quincy Jones as well as many more. 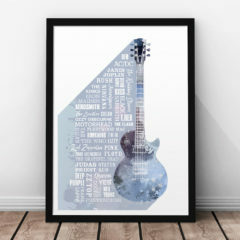 This artwork would make a great gift for a music lover and would be perfect for a study, office, games room, or bedroom. Treat your Dad to something extra-special this year. 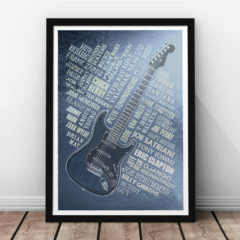 Please note this print is sold unframed and fits standard size frames available from high street and internet retailers. 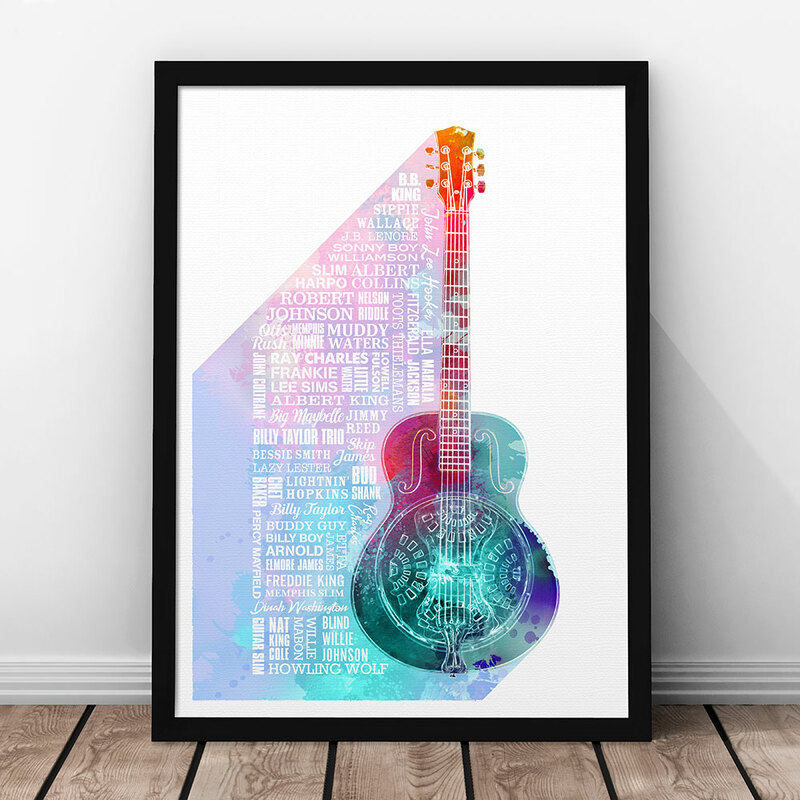 The print is available in two sizes and a choice of colours; Multicoloured, Blue, Steel and Rust. If you have a specific colour request, please feel free to use contact us. 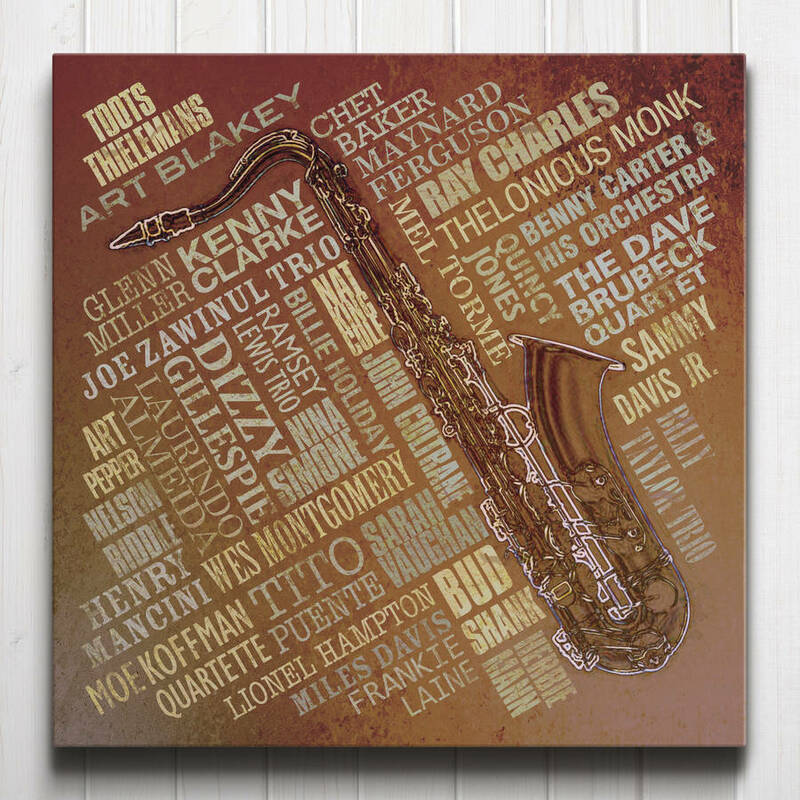 The Heroes of Jazz Print is part of our Music Legends range which also features Rock, Guitar, Blues and Jazz Legends. The artwork is printed to leave a white 1.5cm border around the edge. Titanium Lustre 280gsm – A new metallic paper with a pronounced pearl lustre. Papyrus Textured Paper 300gsm – A textured surface similar to watercolour paper with a lot of character. 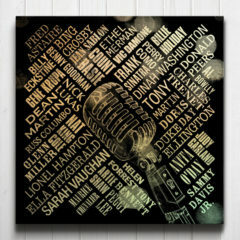 The print comes unframed, delivered in a tube. 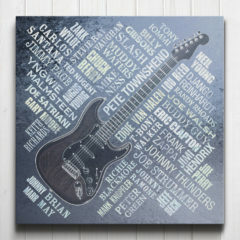 Artetype is a Barnsley-based, family-owned design and manufacturer selling distinctive typographical art.